Replace that 4 stroke 33HP Generac Engine on your Dixie Chopper Comercial & Industrial Lawn Mower with a upgraded 35HP Kawasaki! IMPORTANT NOTE: You must use the pulley included in the kit as the shaft on the replacement Kawasaki is slightly larger than the original Generac GTV990. 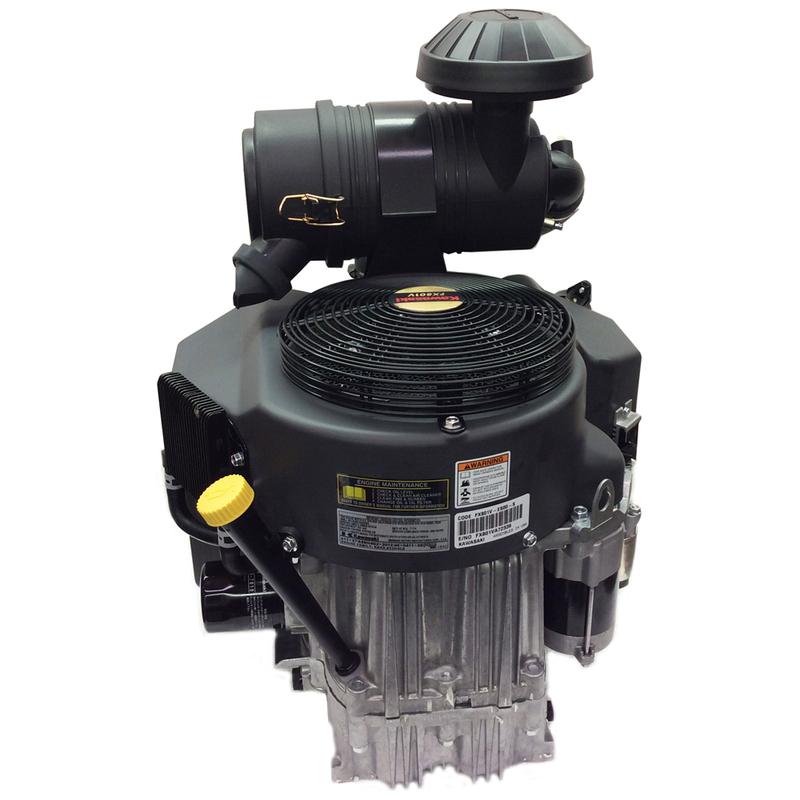 This engine will bolt right onto your compatible Dixie Chopper and offers an immediate power upgrade from the Generac 33HP. Unfortunately the Generac engine is no longer available, but this replacement kit offers a more powerful and easy to install alternative. Important: You must use the pulley included in the kit as the shaft on the replacement Kawasaki is slightly larger than the original Generac GTV990. If you need assistance determining if this engine will fit your unti please do not hesitate to call us. Our Parts Specialists can help you make sure you get the right engine for your Dixie Chopper! • FX1000V engine is a V-twin 4-cycle engine which was designed to provide major muscle and features three valves per cylinder, a twin barrel internally vented carburetor with fuel shut-off solenoid, and a shift-type starter. The engine is a top-of-the-line power plant for commercial mowers and heavy duty industrial and construction equipment.